SanPharma has created a new Candida nasal spray 4X for sinus problems, including allergic fungal sinusitis. Available in a larger 15 ml bottle, the nasal spray contains metabolites of Candida parpasiloslis in a base of purified water and sodium chloride with a small amount of postassium sorbate. 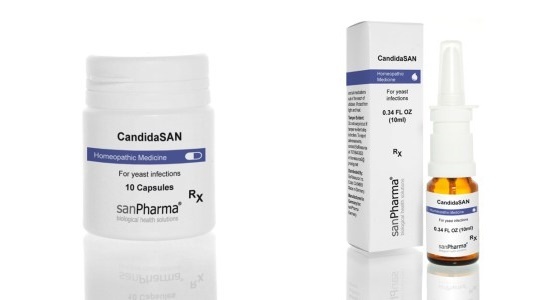 SanPharma Candida, which also comes in Capsules 3X and as a combination Suppository 3X with Roqueforti (Penicillium roqueforti), is also excellent for treating immune regulatory disorders.